For any elderly aged patient, a traumatic fall can have serious consequences. Luckily for this patient, it was nothing that could not be fixed. Do you struggle to make routine dental appointments from 9am-5pm during the week with work commitments? Would you benefit from knowing you have a worldwide dental emergency cover and the added benefit of 20% discount from any dental treatment needed? Introducing Dr John Maguire (prefers Sean) our Principal Dentist. John specialises in root canal treatment and has just completed his Endodontic Masters after 4 years of studying. John enjoys making patients feel relaxed and trying to remove the stigma that root canal treatments can be painful and are not successful – because they are very successful and should be completely pain-free! John began working in 2006 in Castleford where he went on to spend 11 enjoyable years at Armstrong and Haire. 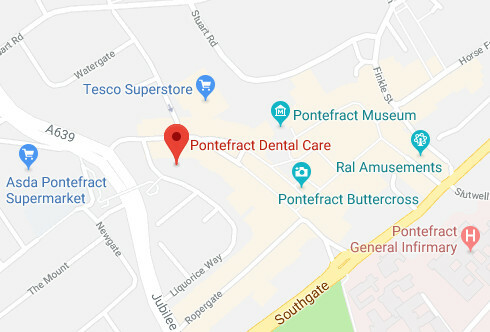 He went on to become a foundation dentist trainer, which involved training new graduate dentists and then became the joint owner of Pontefract Dental Care. Fizzy drinks are the major sugar source for children from the age of 11-18 and one of the main causes of tooth decay. A common misconception is that sugar-free fizzy drinks are also not harmful to your teeth….this is in fact incorrect. Sugar-free fizzy drinks are still acidic and can cause erosion leading to tooth decay. Try to cut out your fizzy drinks or enjoy them in moderation!! One or two per week is a safe amount. Pontefract Dental Care continues to work with the local community to encourage the dental registration of and oral health advice for children from birth. Trying to set a good example meet our very own Dr. John Maguire’s 7 month old twin girls who already love to brush. Thinking of how to treat your Mum this Mother’s Day? 20% OFF Boutique Tooth Whitening in March at Pontefract Dental Care. Normally £250, now £200 for March only. Boutique Whitening is a premium quality whitening gel that delivers superior results, with a noticeable improvement in just a few days. Boutique is designed to fit in with your lifestyle. Now you can whiten your teeth, your way. Verified, genuine reviews about Pontefract Dental Care, collected and managed by Working Feedback - a trusted third party review supplier.